This other baby came into the world, and no one welcomed Him. Only His mother and father. The baby announcement didn’t draw throngs of eager visitors. Instead, His announcement was heralded by angels to a few common shepherds. No palace. No queues of eager onlookers. This royal baby would grow up apprenticing to a carpenter, a lowly tradesman. He would befriend fishermen and tax collectors. 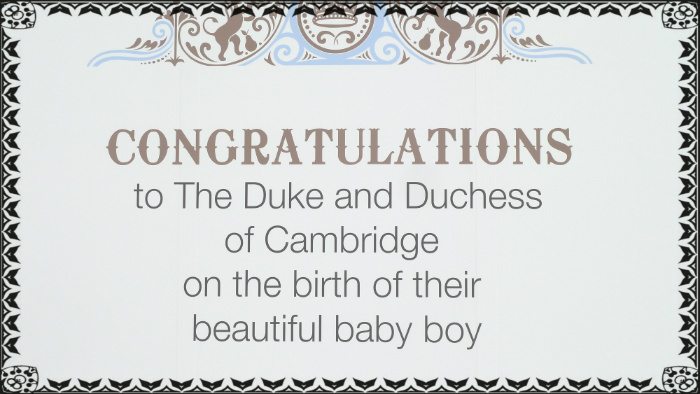 A royal baby born in London the summer of 2013 captured the world’s attention. But the Son of God, the Prince of Peace, born more than 2000 years earlier is ignored by many. Will you turn away from Him or will you value Him today?